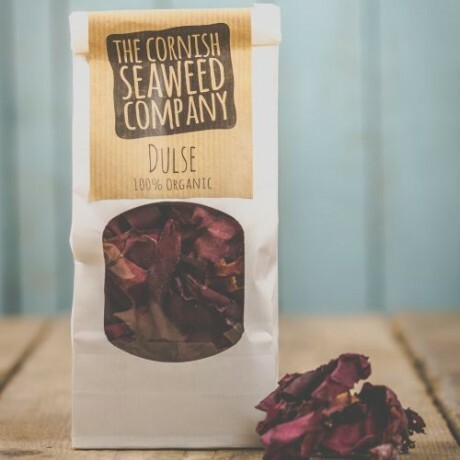 Organic Dulse Seaweed locally and sustainably gathered. 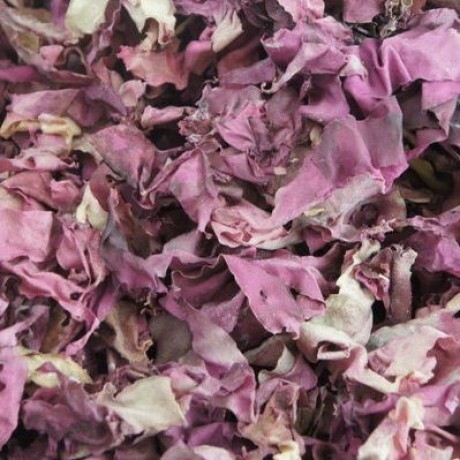 The Dulse, a traditional favourite by the Irish, is a healthy and tasty ingredient in a wide range of foods and has an oceany and bacony taste with hints of sweetness, and soft-velvet texture. Available to buy as a pack of 5 (20 g each). Store in a cool, dark, and dry place. Add it as a vegetable/meat alternative to fish dishes, curries, stews, soups, bread, chowders and salads. 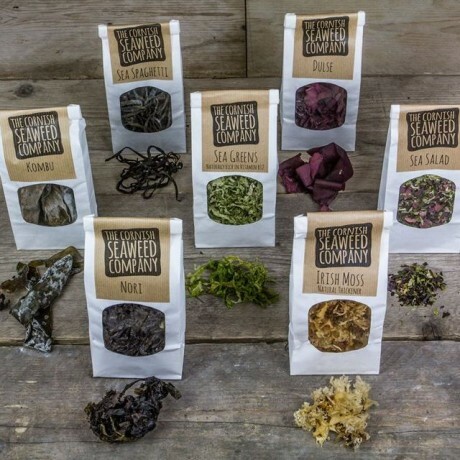 It can be eaten straight from the ocean and when dried it makes an excellent on-the-move snack. Or, try deep-frying it for a few seconds. 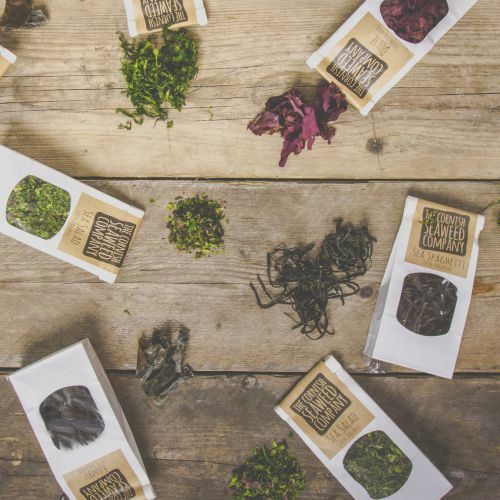 Seriously better than potato crisps! Dulse is naturally rich in iodine. Excess intake may enhance thyroid function. Reccomended maximum daily intake 5g.